Lately I’ve found myself sitting down at my desk with a work enthusiasm that I can only alike to a squirrel stockpiling acorns, only my compilation is not of nuts but of magazine clippings on top and subsequently amasses of ripped up papers underneath the table. If I’m not rummaging for interior ideas, I’m binge watching cooking shows, compiling our autumn/winter menu list or obsessively checking on the three pumpkins that are growing in our allotment. 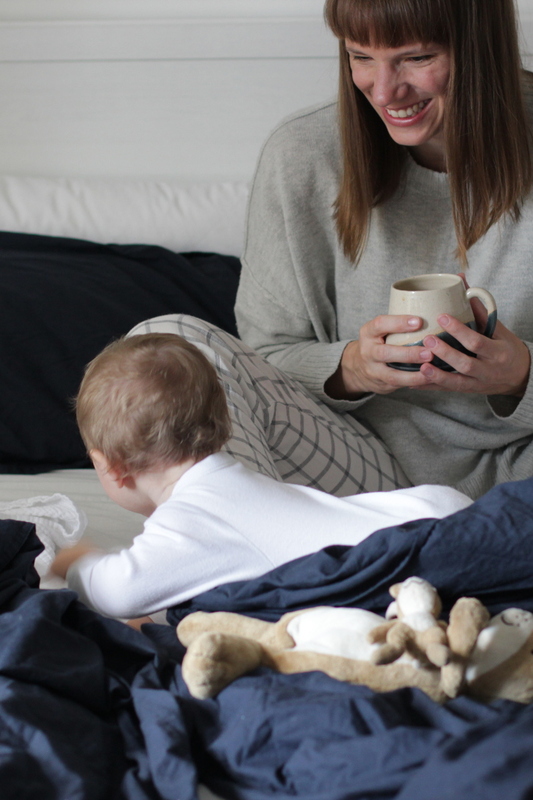 Safe to say the mood in our home is clearly shifting towards cozy cardigans and hibernation. I wonder if there is an ancestral instinct in us to nest. Wether our predecessors found themselves swooning over indoor tasks when the weather got colder. The entire summer I barely noticed the house, all the nagging tasks conveniently escaped my mind as we hardly encountered them during the weeks of outdoor living. The ajar windows and open backdoor made the house feel fresh and clean whatever the state. However with the return of the rain and the enclosed feeling of shut windows and drawn curtains the little and big things are once again in plain sight: How the cobwebs cover the corners, how the skirting board underneath the kitchen units has fallen in, how the walls look bare without any art or pictures on them, how the play corners are dishevelled and un-inspirational for long hours of indoor play. Turning on the lights also brings once again the inherited and outdated lights back into view. And so I started to hunt for lampshades and began to pin indoor play corners in any spare minute – raking for ideas and inspiration like…, well like a squirrel for nuts. 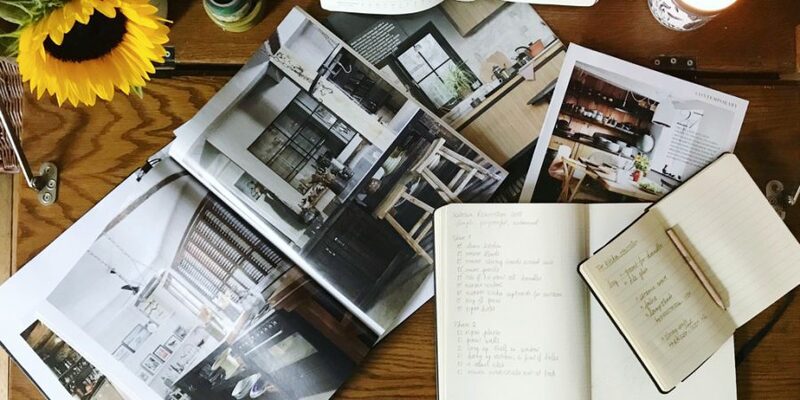 Last week I spend an entire nap time planning a kitchen renovation. Ideally I’d like a new kitchen to hide out in the winter, but who’s got money for that. Not us, sadly. Instead I carefully assessed all options in making the layout work better by making small incremental changes to it and compiled a comprehensive list of tasks that could be done to refresh the room as much as possible while spending as little money as possible. I also did a quick check-in on all the old projects in/around the house that we had started at the beginning of the year but never completed. Re-assesing, re-adjusting and ultimately shifting our autumn schedule to make room for it again. The edited list consists of small things like hanging (finally) that picture frame in the bathroom to overhauling the entire guest-bedroom/craft studio. Then there are the various sewing projects and of course the plant hangers that I wanted to macrame since, well years really. It is unlikely that I’ll finish the entire list before the end of the year, because let’s be realistic: Early autumn nesting isn’t just about diy-ing yourself home, there are pumpkin soups to be made, books to be read, woodpiles to be re-stocked for the fire and most importantly (in the UK at least) cakes to be made that can be devoured alongside the weekly viewing of the Great British Bake Off. Calorie stockpiling, I believe they call it. Oh & H – a homemakers column. A weekly sharing of life’s little stories between keeping a tiny terraced house and tending to an overgrowing allotment.